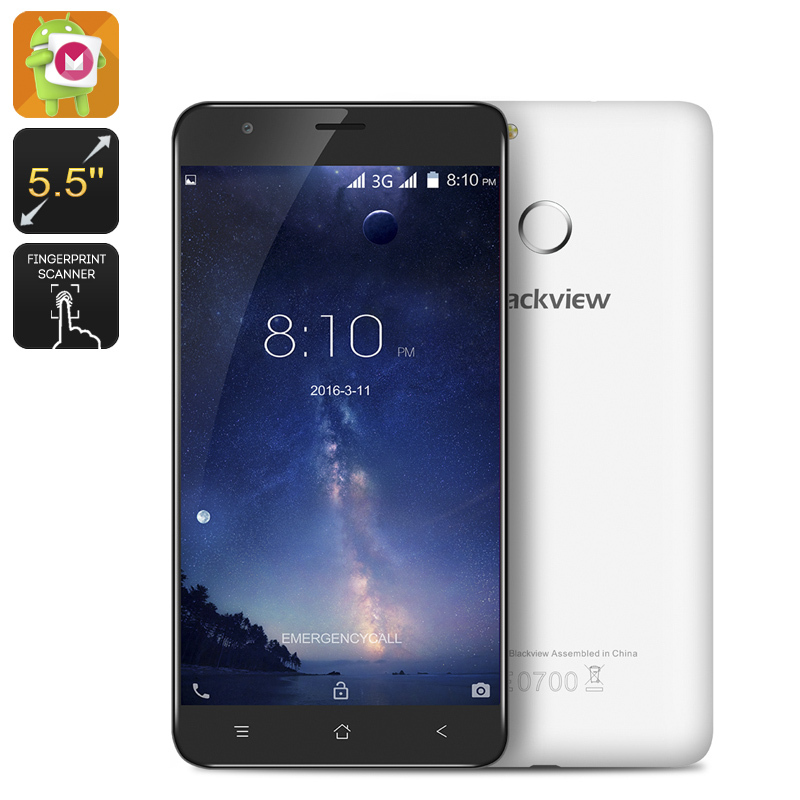 Successfully Added HK Warehouse Blackview E7S Smartphone - Android 6.0, 5.5 Inch Dislpay, Quad Core CPU, 2GB RAM, Fingerprint Sensor (White) to your Shopping Cart. The E7S is an entry level Smartphone from Blackview with some advanced features making it a truly competitive option for the price. This slim phone has an attractive design that while simple, is exceptionally functional and very comfy to use. The rear of the phone has a rubberized coating which makes it easy to use in one hand and protects against scratches. A fingerprint sensor takes pride of place on the rear of the phone brings heightened security and quick access to remember lock patterns or pass coded is no longer required. With the popular MTK6580 quad-core CPU and 2GB of RAM the E7S brings a reliable performance that can handle all your daily tasks. A 5.5 inch HD screen strikes a good balance between size and performance so bringing you 720P resolutions and offering plenty of space for movies, games and surfing the web. Android 6.0 is the operating system of choice on this phone brining Now on Tap, smarter battery control, and greater control than ever before so you can really get the most from your Smartphone experience. The 8MP rear camera provides good quality snaps when out and about so you can capture those memorable moments taking them with where you go. A modest 16GB of storage is easily expanded via the micro SD card slot so you'll have tons of room for apps, games and photos. Having a 2700mAh battery is more than enough for this efficient phone which can enjoy up to 10 hours of talk time from each charge, more than enough for most needs so you won't find yourself having to recharge thought the day. The Blackview E7S Smartphone comes with a 12 months warranty, brought to you by the leader in electronic devices as well as wholesale electronic gadgets..